If you don’t care about tracking your health, don’t buy an Apple Watch. It's been exactly two years since Apple took the wraps off the Apple Watch, the first entirely new product for the company under the direction of CEO Tim Cook. But unlike Steve Jobs' legendary introduction of the first iPhone, which focused on three feature categories, the watch was all over the place. It's a precise timepiece, with high-end fashion bonafides! It can track your activity and workouts! It has apps, notifications and glances! You can send your friends your heartbeat or a ridiculous emoji or inappropriate sketches! But you need your iPhone to do basically all of this! It was a dizzying introduction. When the watch launched in April 2015, most reviewers agreed there were a lot of interesting features, but they didn't all come together in a coherent fashion. And the slapdash combo didn't justify the relatively high price. But now, with the introduction of the Watch Series 2, Apple has made it clear: If you're not interested in health tracking, don't buy an Apple Watch. Essentially all the features that separate the Series 2 Watch from the original model are focused on making it a better health- and fitness-tracking device. Onboard GPS makes it far more useful for running or hiking, especially without your phone. 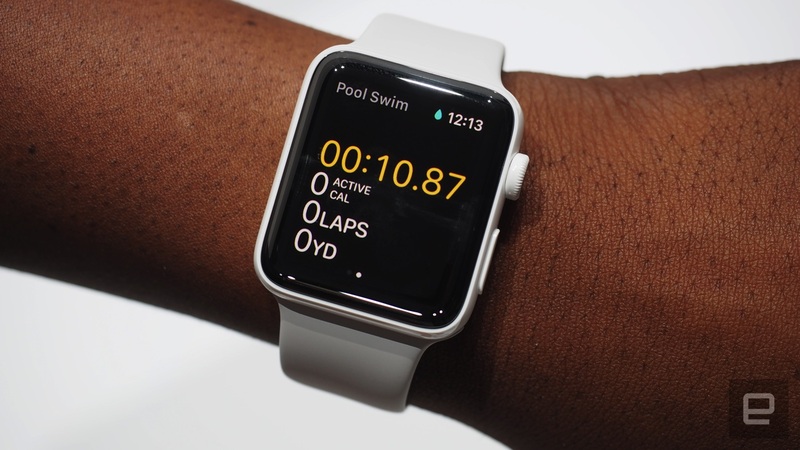 True water-resistance means swimmers can use the watch to track their performance, and it can even differentiate among activities in a pool or in open water. A significantly brighter display means it's easier to read when working out under the sun. A host of software updates will make it a better tracker than the previous generation -- and there's a Nike-branded model for those who want to access the shoemaker's custom workout software and "run club." The only new feature that isn't specifically geared toward improved fitness tracking is the faster processor, but that's a no-brainer after 18 months on the market, and something that will benefit all buyers. The brighter display is great for all buyers as well, but the original watch screen wasn't exactly lacking. It was sometimes tough to read outside in direct sunlight, but the display is pretty far down my list of complaints with the first-generation watch. Apple's website and branding reflect this shift in focus: The Series 2 page has four sections detailing the new features, and three of them are entirely focused on health and fitness. 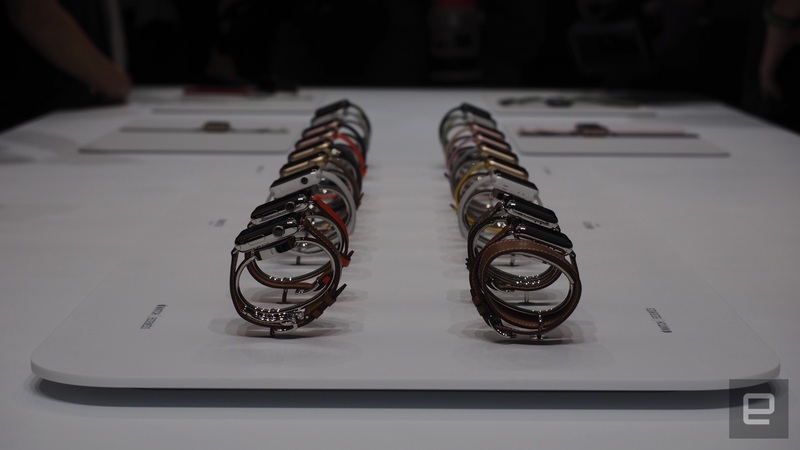 The watch's many other features like notifications, apps and watch faces are all grouped together. And Apple barely mentions the fairly ridiculous specialized communication options it touted so heavily when the device was announced. Apple hasn't removed any features, but it has totally changed the marketing and conversation around what the watch does. It says a lot that there's no more "Apple Watch Sport" collection: It's just Apple Watch, Series 1 or 2. The more expensive stainless-steel cases still exist, but they live alongside the cheaper aluminum models that have sold much better. And Apple all but exited the luxury market it aspired to when the watch was introduced. The insanely expensive solid-gold models have disappeared without a trace. You can still easily price a watch to more than $1,000; Apple's partnership with French fashion designer Hermès is ongoing, and there's that fancy new ceramic model that'll set you back a cool $1,250. But that's still a far cry from the $10,000 starting point for a solid gold watch. Instead, Apple is making the watch more affordable. The Series 1 is cheaper than before ($269 and $299 for the 38mm and 42mm models, respectively), and Apple has upgraded its processor to match that in the Series 2. If you're not a swimmer and don't need rigorous GPS-assisted fitness tracking, the earlier model is a perfectly viable option -- that upgraded processor means it should last as long as the brand-new model. The question now is whether targeting fitness- and health-tracking enthusiasts will be enough for the watch to be a significant part of Apple's business. A lot of fitness-tracker companies have struggled to find a foothold in the market, and there's a common perception that their products end up in a drawer, forgotten after a few months. We still haven't heard concrete Apple Watch sales numbers, but the company says it is already the No. 2 watch retailer in the world (by revenue). The watch may not become Apple's next world-beating product, but this more-focused strategy will likely help it expand the market of potential buyers. And Apple's recent keynotes have made it clear that health is a companywide priority, which makes the watch a key part of its strategy going forward. At the least, Apple has firmly decided why the watch exists. It just took a couple of years to get there.